Ivan served as a full time police officer with an Arizona agency for 26 years. He spent the majority of his career as a SWAT officer fullfilling 20 years as an operator. He is a LE state certified Firearms, Rifle, Defensive Tactics, Active Shooter, and High Risk Stops Instructor. Additional duties with his agency included his work at a detective, Field Training Officer, police academy Recruit Training Officer and Lead Firearms Instructor, Rifle Instructor and Ballastic Shield Instructor. In the last 4 years of his career was on contract with the AZPOST (Arizona Peace Officer Standards and Training) as a Training Specialist-overseeing instructor Schools and the various SME's throughout the state of Arizona. 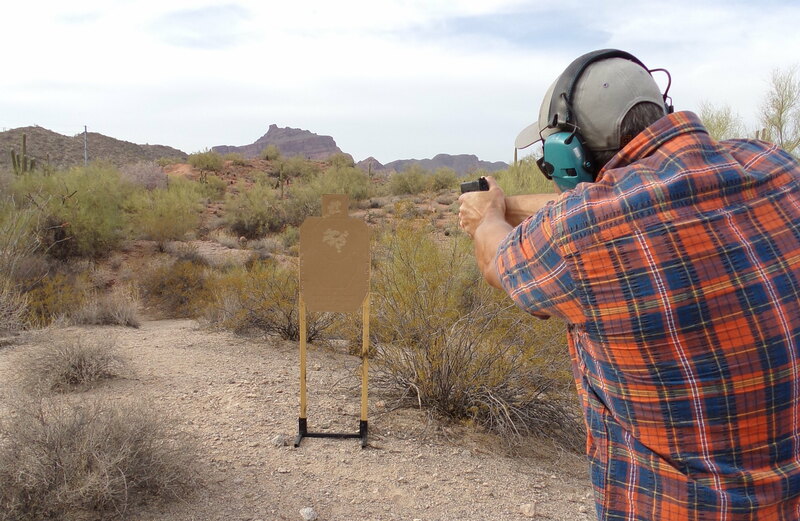 Ivan began competing in 1990 and actively participates in USPSA, IDPA and multigun matches. He is a ranked a Master class in IDPA and A class is USPSA. When I started my law enforcement career over 27 years ago, it was common to carry a backup gun in an ankle rig or some type of vest carrier holster. More often than not, the weapon of choice was a semi-automatic .380 ACP. The concept of dry-fire (or for those purists out there, we can use the term dry-practice) is often dismissed by many but also inversely and unfortunately overused by others. (For example: Due to some law-enforcement (LE) agencies’ ammunition budget constraints, dry practice is often the big replacement for live fire.) In a perfect, money-is-no-object world, dry-fire should compliment as much live fire as time and funds allow. Dry-practice should also be a fairly significant and useful portion of your training package—especially when learning a new technique or focusing on specific principals like the four below. Over my 25-plus years as a police officer, I have carried a small variety of duty weapons with varied trigger systems. Starting in 1990, I carried a double-action/single-action (DA/SA) duty gun in .45ACP. Years later, I opted to carry a double-action-only (DAO) system in .45ACP and the same system in 9mm. With more than 20 years in law enforcement, I have carried a variety of AR weapon systems. Always a huge fan of Springfield Armory®, I was pumped in 2016 when I heard that they were releasing their first AR—the SAINT™. In anticipation of its availability, I got on the wait list and purchased the very first SAINT™ that my favorite gun dealer received. In the following six months, I exclusively shot my SAINT™ rifle during training, while instructing classes and in a variety of 2-and-3-gun matches. Firing more than 2,000 rounds during this time period (a combination of budget-minded .223 ammunition, XM193 and duty ammo), the rifle never hiccuped and ran with no malfunctions.